It’s been 19 years since I started serving in our parish. I almost gave up a lot of times because of unanswered prayers, frustrations, heartaches, and failures, but whenever God gives me unexpected and overwhelming blessings, I felt ashamed that I even entertained that thought. 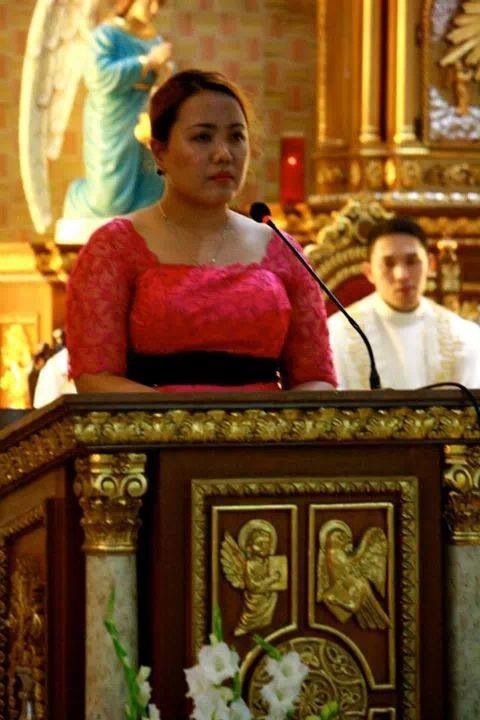 When I was younger, my mom would make it appear like it’s a mortal sin if we could not to go to church every Sunday. In time I learned that it’s not a mortal sin, but an obligation. I must admit, sometimes I’m too lazy and sleepy to get up on Sundays, so I would pretend I’m not feeling well, but mom never bought it. Back then, I couldn’t come up with a really good excuse because my sisters and I were all required to go to mass every Sunday morning (no excuses! ), wearing color-coordinated clothes, which would really make it impossible for people not to notice us. But that all changed when I started joining parish organizations. Compared when my mom would force me to attend mass, now she would often ask me where I’m going and why I’m always going to church. I was 14 years old when I joined Crossnote, one of the choirs in our nearby parish, but I was too young then, and most of my choirmates were already in college so I had to quit and focus on my studies. I was 17 years old when I felt the desire again to serve, but this time I told myself, there’s no turning back. It’s about time to offer something to God after all the wonderful things He has done to my life and blessings He has given me and my family. My sisters and I first joined the Holy Family Choir at the Our Lady of the Most Holy Rosary Parish in Rodriguez, Rizal and then later joined the Lectors and Commentators’ Ministry (LCM). 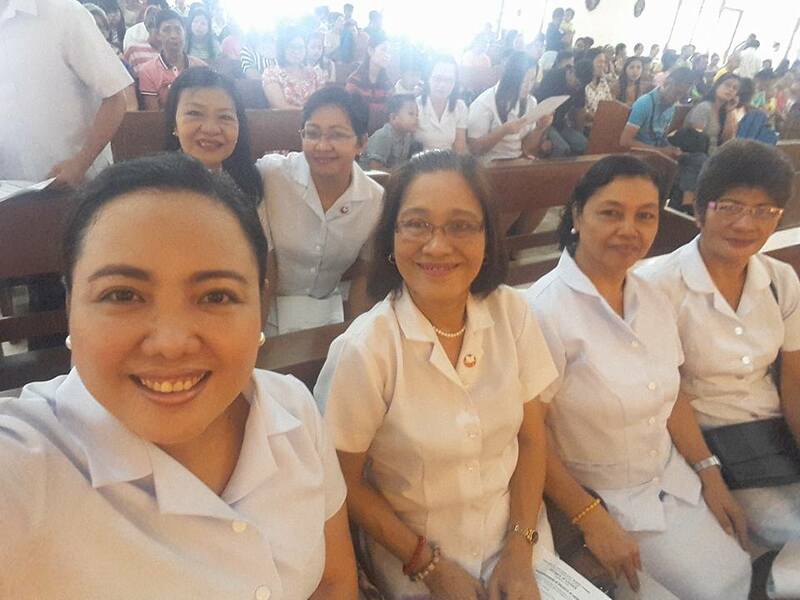 It was fun and happy back then because my sisters and I would attend church seminars and activities together, especially the three-day Parish Renewal Experience (PREX), where we were given the opportunity to sing, dance, and give talks to participants. There we also met some of our closest and good friends we have today. But it was not too long when my sisters got married, and they had to move out of our home to start their own family. Good thing, my mom and dad joined parish organizations, too as members of LCM and lay ministers too, respectively, so I wasn’t really left on my own. But admittedly, it was not the same without my sisters – it was sad. My sisters were my best friends and we were a team. We were inseparable. Looking back, I couldn’t help but be proud that I have gone that far without my sisters serving with me and with the grace of God, I managed to stay despite the feeling of being left alone. I’m happy that I’m still serving the parish and didn’t give up because it led me to this kind of life and shaped me into this kind of person I am today. Service is between you and God – not your parish priest, your churchmates, choirmates, friends, parents, or siblings. So I don’t let disagreements, misunderstandings, friendships, indifferences, or the feeling of being alone turn me away from my service. This is between me and God – nobody else. Preparation. I’ve been in the ministry for quite too long to be confident, but I can’t. I am confident, but I try not to be overconfident. I still read, review, and rehearse my pieces or songs days before the mass (if it’s a special occasion) or hours before the mass. There’s no room for complacency. I did once because I was too confident that I can sing the new psalm with just a little practice during the Easter Vigil mass, but I failed. If you’ve attended Easter Vigil masses, you’ll know how many people attends them. All eyes are on you when you’re at the altar, they will notice everything, as in everything. Fortunately, some people didn’t notice that I was singing the whole psalm out of tune, but for those who knew the real tune – agreed that I really made a mess that night. So I dare not to be overconfident ever again. Responsibility. The mark of a responsible person is attending his/her assignments diligently and performing them to the best of his/her abilities. I also learned to accept bigger responsibilities not because no one else will do it, but because they are calling me for it. Getting involved. Service has taught me to get involved and to actively participate and cooperate; volunteer for projects and activities, take the initiative, and help in the church’s fundraising activities. Service has taught me to make offerings and sacrifices. In order for God to reward me, I must give something first even if it means my precious time, talent, and treasure and expect nothing in return. I don’t have to tell you everything I did. Lastly, service has taught me to walk the talk. I should practice what I preach. I cannot give what I do not have. So in order for me to be a good and “real” role model, I should start at home by respecting my parents, helping the household chores, being selfless, and loving my family first. “Charity begins at home” as the old adage says. Serving God is a tough job. You will encounter people who will criticize you, make fun at you, question your faith or even your God, but you must go on and be proud of it. Don’t feel sorry for loving God. Remember, it’s between you and God. You don’t owe anyone an explanation. I love your commitment to God and your church. You have such a big heart. You bless many people with your positive attitude and smiling face. Thank you for sharing more about your religion with us. Thank you Ipuna for being so supportive. I am inspired with how you write regularly. I’ve been busy. I have a lot of catching to do.